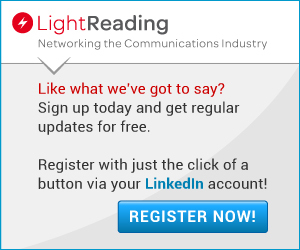 In a sign the industry's keen efforts to get standards-based 5G technology into commercial production might have been too rushed, Light Reading has uncovered a "backwards compatibility" issue that could put the brakes on some planned 5G service launches. The problems, uncovered by a Light Reading investigation, have arisen due to unforeseen incompatibility issues between early and more recent specifications issued by the 3GPP, the mobile industry's key specifications body. As a result of those issues, network equipment makers are under pressure to fix a 5G network-to-device compatibility problem after they unwittingly shipped thousands of 5G basestations that might not support communications with initial 5G device chipsets. The radio access network equipment from vendors including Ericsson AB (Nasdaq: ERIC), Huawei Technologies Co. Ltd. and Nokia Corp. (NYSE: NOK) is based on 3GPP New Radio (NR) specifications that were finalized before September. However, silicon vendors such as Qualcomm Inc. (Nasdaq: QCOM) are designing chips for end-user gadgets in accordance with September updates that, it has emerged, are incompatible with the older specifications, according to industry sources. "In terms of devices, the understanding is that major chipset vendors are basing their commercial implementations on September 2018 specifications," said Balazs Bertenyi, the chairman of the 3GPP RAN [radio access networks] group, in an email. Light Reading sought confirmation from Qualcomm, the world's biggest maker of communications chips for smartphones, but had not received any comment by the time of publication. In the worst-case scenario, 5G basestations already installed in networks would have to be ripped out and replaced. Equipment suppliers would probably bear the cost of that overhaul. Vendors are hopeful they can tackle the incompatibility problem with a more straightforward software upgrade to the basestations already in telco networks. Even so, one major operator relying on Huawei equipment is understood to be worried that a fix could hold up the rollout of 5G services. That service provider is now leaning on Huawei to address the problem, Light Reading has learned. In emailed comments, a Huawei spokesperson said: "The 3GPP will release updated specifications every quarter, and we will follow the 3GPP's modifications... Huawei is updating from F10 [March specifications] to F30 [September specifications] and we will continue to work within the 3GPP framework." Nokia has shipped "well above" 10,000 5G basestations globally using pre-September specifications, said Jane Rygaard, the head of mobile networks marketing for the Finnish firm. It is currently working with device chipset makers on compatibility tests and plans to start upgrading equipment once those tests are completed. The goal, she told Light Reading, is to be "done by the time of the customer launch." But she acknowledged that an upgrade to September specifications could be troublesome if the hardware and software in a vendor's basestation equipment are tightly integrated. "If you have not truly split hardware and software then you might have problems," she said. Ericsson has also deployed 5G NR equipment that is not currently based on the September specifications, although it declined to say how many basestations it has shipped. Like Nokia, it does not anticipate any need for hardware replacement. "The basestation hardware is not impacted by these specification changes and can support the new software releases, which will incorporate the updated 3GPP specifications," it said in an emailed response to Light Reading's questions. The 3GPP similarly insists that any changes to 5G specifications made this year should not force operators to replace equipment. "Past December 2017, the 3GPP has not made any major changes to the draft specifications that would have had any major impact on network element hardware," said Bertenyi. "Hence it is difficult to comprehend why an operator would need a replacement of network hardware that had been based on March 2018 specifications." However, he acknowledged that changes made after March with the full approval of 3GPP members are "non-backwards-compatible." Quizzed about the ease of shifting from pre-September to September specifications through a software upgrade, Bertenyi said: "To what extent these changes can lead to potential firmware upgrades depends on particular implementation choices that we have no control over in 3GPP." The compatibility issue has provoked sufficient concern for the 3GPP to publish a new paper Tuesday morning about its process for updates. That paper comes after it previously flagged eight "change requests" to the 5G standard as "non-backwards-compatible," according to a September report from the EE Times. All those changes were apparently categorized as "ASN.1," which means they involve software as opposed to hardware updates, said the EE Times report. In this week's paper, a draft copy of which Light Reading obtained prior to publication, the specifications group skirts around the details of ASN.1 changes in the September specifications but says "the consequences of an NBC [non-backwards-compatible] change can be very severe." The report authors add: "It could mean that a UE [user equipment] that does not implement the ASN.1 change will fail to decode the entire message, which is likely to lead to a connection failure (i.e. a call drop). Furthermore, the impact of an NBC change to the ASN.1 could go far beyond the piece of functionality addressed by the correction; for example, an apparently small change to the ASN.1 to fix a feature that may not even be on any operator's initial deployment plans could potentially lead to connection failures or call drops (i.e. the change is not 'isolated impact')." The 3GPP points out that in its forthcoming December specifications update, "there is no CR [change request] containing NBC changes to the ASN.1." Besides changes in the ASN.1 category, specifications updates can also take the form of "functional corrections," without which the functionality in question might simply not work, according to the 3GPP. "For these changes there is generally little choice about BC [backwards-compatible] or NBC [non-backwards-compatible]," says the 3GPP in its paper. "It is simply necessary to fix the problem and understand the consequences." Given the 3GPP's strong reputation for the backwards compatibility of its earlier releases, the rush to build a 5G standard is likely to be cited as the cause of the current problems. Parts of the industry have been trying to commercialize 5G less than a year after 3GPP standardization, while that process has taken as long as two years for previous network technologies, according to Nokia's Rygaard. "There is no doubt that things are moving faster," she said. "Adjustments that are happening in the specifications will have a bigger impact because people have been used to getting it when it is baked and ready." Bertenyi's email to Light Reading points out that the 3GPP's 5G acceleration came in response to industry pressure. "'Freezing' those elements of the specifications that impact NR network element hardware design already before the first official freeze (i.e., 'early drop') had been of utmost importance to the industry," he said. This story was updated early Wednesday morning (UK time) after the 3GPP responded to questions about the ease of upgrading from pre-September to September specifications through a software upgrade.